The Elephant Grass is our specialty! As a Miscanthus multiplier, we market rhizomes of this grass. We mainly address our offers to farmers wishing to establish a Miscanthus crop on their land. It is important to know that Elephant Grass is sterile. Cuttings cannot be taken from existing shoots. Certainly, the life span of this plant is important (between 15 and 30 years). However, in order to replace it once it is dead, you will need rhizomes. 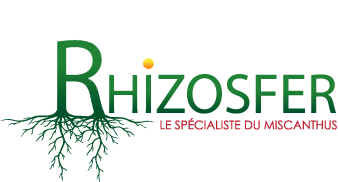 Rhizosfer offers quality products with a germination capacity estimated at more than 90%. This is a result of working methods that we do not hesitate to implement to ensure the satisfaction of our customers in regard to their cultivation of Miscanthus. In order to give you access to a high-quality rhizome, we work on a just-in-time basis. Our company strives to minimize the time between the different steps necessary for the supply of rhizomes so that they preserve their vitality. We do not hesitate to closely study our harvesting method in order to allow these young shoots to bring out their potential in your soil. All our work is intended to help you engage in an elephant grass cultivation which you can be proud of. We are aware that each farmer has different needs, we choose to remain flexible in our sales offers. Thus, you have the choice between a bag of 500 pieces and a "big bag" containing between 10 000 and 18 000 pieces.